After upgrading my Mac to OS X Yosemite (10.10) I had to reinstall Java to make IBM Notes startup just like Rene describes. To install go to the download page for Java on apple.com, download and install. It takes around 5 minutes and you are ready to go. Once installed the Java runtime makes IBM Notes fly again and I can confirm that the OnTime Group Calendar UI’s run just fine on OS X Yosemite. Good news – yesterday night a new IBM reference story for one of our Danish customers went online. 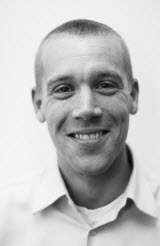 The reference is for Semler Group and talks about their adoption of Social Business using IBM Connections as a platform and how the social components from OnTime Group Calendar are central pieces in this strategy. The reference story is also available as a PDF. This week OnTime is back in Tokyo spending time with our very good partner Axcel Corp. Besides customer meetings we are going to the IBM Connect 2013 Japan tomorrow Thursday where OnTime have a session and my boss Jens is giving the introduction in Japanese. It’s going to be great. A Danish insurance company was running a CRM system to control and maintain customer relationship information and plan meetings for its insurance agents. Because the CRM system wasn’t integrated with their IBM Domino infrastructure running their mail and calendar the insurance agents in effect had two calendars – one in IBM Notes holding their company appointments and one in a CRM system holding their external customer meetings. This meant that the insurance agents effective stopped using their calendars or maintained a third, non-company, calendar) as there were no single place to see all appointments. Besides this the organization as a whole was unable to plan internal meetings with the insurance agents as their calendars didn’t reflect their actual whereabouts. To remedy this they decided to use the OnTime Group Calendar API to integrate the two systems using web services using an intermediate Enterprise Service Bus (ESB). 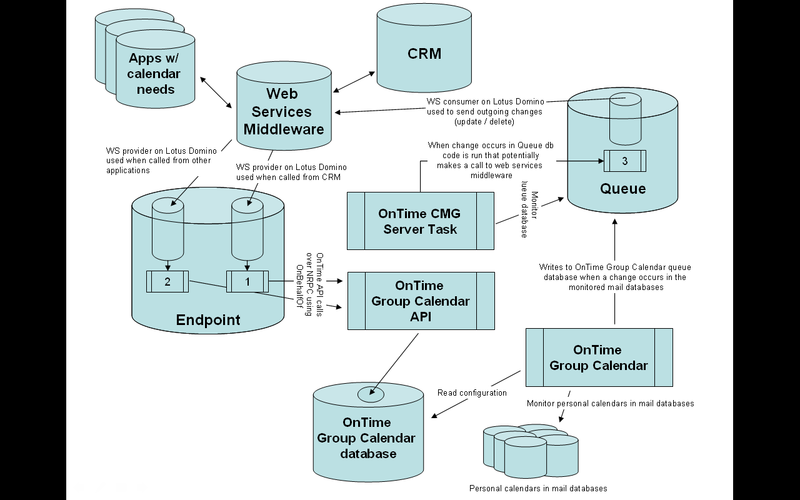 The OnTime Group Calendar API web services are hosted directly on IBM Domino and performs extremely well. After implementing the solution the insurance agents only need to maintain their calendar in Notes as it will reflect their true calendar showing both internal, external and personal appointments and meetings. The solution provides a true two-way synchronization so any appointment planned from their CRM system shows up in the calendar in Notes. If the user reschedule the appointment the corresponding appointment in CRM is automatically updated and if the appointment is deleted the appointment get cancelled in the CRM system as well as a follow-up activity being created to make sure a new meeting is planned. The personal calendar in Notes is also updated once a meeting is marked completed in the CRM system to allow for automated expense reporting based on the personal calendars in Notes. As an added benefit of the using the OnTime Group Calendar API all insurance agents are now able to use their Notes client, their iNotes webmail or their mobile device to do their job resulting in true mobility and added flexibility. Below is an architectural drawing showing how it all integrates using Domino as a central application server. Yet again the event is at this beautiful spa location in Larvik near the ocean. Can’t wait to go there and be social with the Norwegians. See you there. OnTime is of course present at IBM Connect 2013 and we will be there in a variety of ways. We are sending 4 people so if you want to talk to us about anything from technology, to sales, to vision you should be good to go. Besides me being there and presenting a session (BP209 on Monday afternoon at 3.45pm) we are in the showcase demoing all our group calendaring goodness as well. We have an extremely cool line-up of products and will be demoing our new UIs namely the reintroduced Team-At-A-Glance sidebar plugin for IBM Notes and our new web UI which will knock your socks of. If you haven’t seen it be sure to stop by the booth or talk to one of us. During Connect we will be giving a number of iPad minis away and the rules are simple. Simply Like our page on Facebook (www.facebook.com/ontimesuite) to join the fun and then watch Facebook.com/ontimesuite daily during Connect 2013 for extra chances to win. Each way we will post an OnTime related question on Facebook and the first one to come to the booth with the answer will win an iPad mini – there is a iPad up for grasps every day of Connect 2013!! So easy and should be all kinds of fun. Be sure to join in. So why not head over and Like us right away! ?